Last quarter, Tricon Capital Group Inc. used proprietary software to scrape 100,000 house listings in the U.S. Sunbelt states. It put offers on 1,500 and ended up buying about 400. This quarter, the Canadian firm expects to buy up to 600 more. Tricon has become the third-largest publicly listed landlord of U.S. single-family rentals by snapping up homes from Arizona to Florida. It now ranks behind Invitation Homes Inc., backed by Blackstone Group LP, and American Homes 4 Rent in a market it says is valued at about $3 trillion and is still largely owned by individual investors. Tricon is aiming to double its assets under management to US$10 billion by 2023, attracting capital from institutional investors and bringing corporate efficiency to the market. 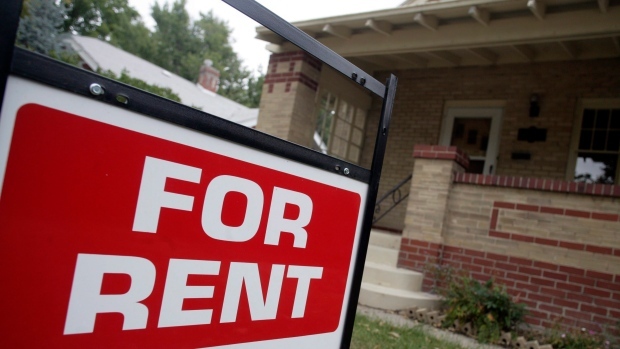 The Toronto-based company owns 15,500 rental homes in the U.S., with a value of about US$2.9 billion. That compares with more than 80,000 for Invitation Homes and about 52,000 for American Homes 4 Rent. The U.S. market for rentals has boomed as banks tightened credit standards for mortgages after the housing crash, Berman said. In today’s sharing economy, there’s also less stigma associated with renting, Berman said. Then there’s technology, which has made it possible for businesses to buy homes and manage their properties at scale. Tricon is also building out its maintenance capabilities, with a fleet of trucks Berman calls a “Home Depot store on wheels.” That helped the company push repair and maintenance costs down to 9.7 per cent of revenues in the first quarter from 11 per cent a year earlier. Tricon targets workforce housing -- for police officers, teachers and the like -- that rents for an average US$1,300 per month. That compares with an average of about $1,700 for Invitation Homes. Tricon’s stock has risen about 140 per cent to a market value of C$1.35 billion (US$1.05 billion) in Toronto since the company made its first foray into the U.S. six years ago. The shares have lagged Canada’s benchmark S&P/TSX Composite index over the past 12 months, with an 8.7 percent drop amid rising interest rates. The 11 analysts who follow the company rate the stock a buy, according to data compiled by Bloomberg. Tricon could make more acquisitions following its $1.4 billion purchase of Silver Bay Realty Trust Corp. last year, Berman said. If the company could “combine or acquire a large portfolio that was complementary, we’d obviously want to do that,” he said. The firm is also trying to draw more institutional investment into its other businesses, which include apartment development, land acquisition and home building. It has a development pipeline of 2,500 apartment rental units in Toronto, which will cost about US$1.2 billion to construct. Still, land prices have soared in the city amid the condo boom, making it harder for apartment developers to compete. That means Tricon needs to get creative in its purchases, Berman said. For example, it looks for sites where owners are willing to forgo a larger profit upfront in exchange for a steady income stream from rentals.